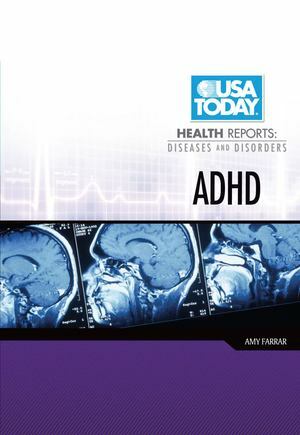 ADHD haunts children into adulthood," claimed a headline in USA TODAY, the Nation's No. 1 Newspaper. The inability to focus, sit still, or complete tasks makes it very difficult for people with attention deficit/hyperactivity disorder (ADHD) to succeed in school and work. Their behavior can also be disruptive to those around them. Some of the symptoms of ADHD may disappear over time. But many people must cope with the effects of the disorder their entire lives. According to the Attention Deficit Disorder Association, ADHD affects 6 to 10 percent of children and 3 to 6 percent of adults in the United States. The good news is that people with ADHD who receive treatment and support are able to live normal, productive lives. In this book, you'll find valuable information about ADHD to help you or someone close to you. Case studies offer you a glimpse into the lives of people with ADHD and their families. You'll also learn about the causes and effects of ADHD, treatment options and alternatives, support groups and other organizations that can help, and more.